During the summer, Colgate students are applying their liberal arts know-how in a variety of real-world settings, and they are keeping our community posted on their progress. Seth Grimes ’19, from Manchester, N.H., writes on exploring the motivations behind violence in combat sports during his summer research opportunity. 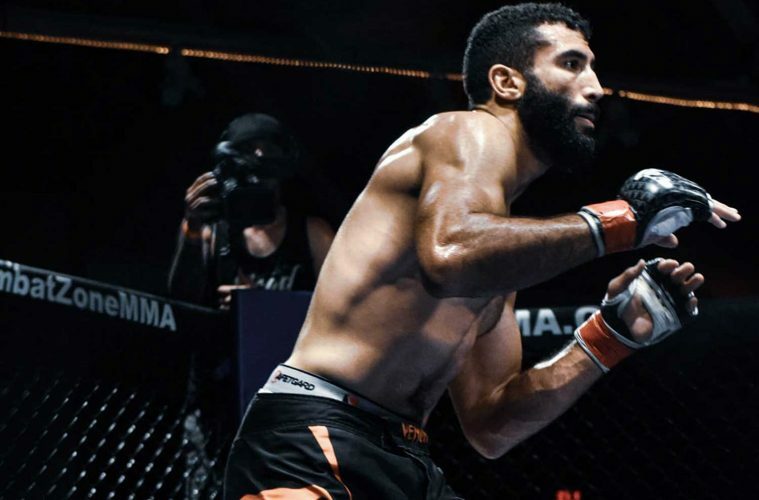 Combat sports have experienced a recent leap in popularity within American culture, as evidenced by increased revenue from pay-per-views and broadcast television events. Where once boxing was the primary combat sport of note, other martial arts, like Muay Thai, Judo, and Jiu-Jitsu, have come into the public eye. This summer, I am conducting an ethnography of combat sports competitors. I am particularly interested in alternative motivations, purposes, and effects that this curious type of violence advances. I am investigating primarily through the use of formal and informal interviews as well as in-depth participant observation. There are several reasons that I decided to research this topic. First, I have a deep personal connection to martial arts; they have provided purpose and stability during times of trouble in the past. Second, the anthropological literature regarding this topic is relatively thin. To be sure, scholars have been interested in the cultural significance of sports for a very long time. But the world of combat sports is set apart from other forms of competitive athletics. It is characterized by its degree of violence and by the fact that violence is an end in itself, instead of a means to some other end, such as putting a puck or ball into a net or end zone. While the primary purpose of most forms of physical violence is the destruction of bodies, we find that, in combat sports, the violence is in large part an exercise in restraint and kinship formation. Not only do participants assert that, since taking up combat sports, they will no longer engage in unsanctioned forms of violence (a change in attitude for many), but also the sports themselves are overwhelmingly seen as art forms in which team mates, bludgeoned in practice, become family — opponents, battled in competition, become collaborating providers of the condition for extremely high-stakes self-actualization. This project is being conducted under the Division of Social Sciences, with Professor Mary Moran serving as my advisor. As a student pursuing a degree in both anthropology and psychology, I am particularly interested in the motivational factors, effects, and purposes of violence in all forms. This particular summer research will contribute to my senior thesis in anthropology.